Prep For Your Next Show The HEALTHY WAY - And Still Get That Winning Look! FREE EBOOK + VIDEO BONUSES AND MORE! 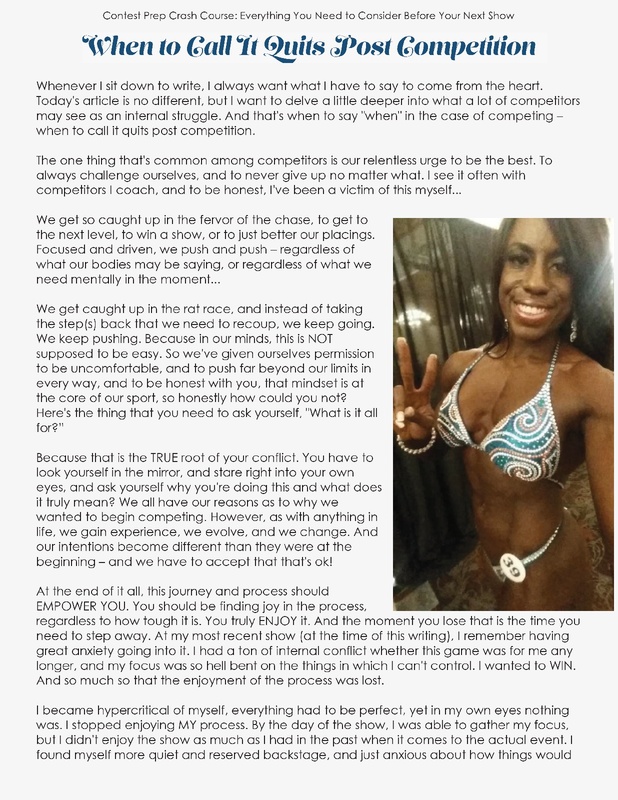 "The RoxStar Fitness Contest Prep Crash Course: Everything You Need to Consider Before Your Next Show"
Let me teach you my TOP TIPS and advice to help you to look like a seasoned athlete - and feel empowered during your contest prep journey! Your privacy is VERY important to us, and we guard it as closely as our own. Your name and contact info will NEVER be shared with any third party - and you can unsubscribe at any time. Stop the confusion and frustration of what you need to do to look your best on stage. Crack the code to improving your placings, earning that coveted top 5 trophy, and nabbing that national level qualification. Most importantly, feel the pride and confidence in finally beginning to understand the process of contest prep. Reveal the mystery behind the best methods and tactics that can change your body, help you to steadily lose fat, and keep your hard earned muscle. Find out exactly what the judges are looking for, so that you can put your best foot forward on stage - or even bring home some hardware. This eBook is jam packed with REAL tools and tips you can begin to apply right now to your contest prep program. 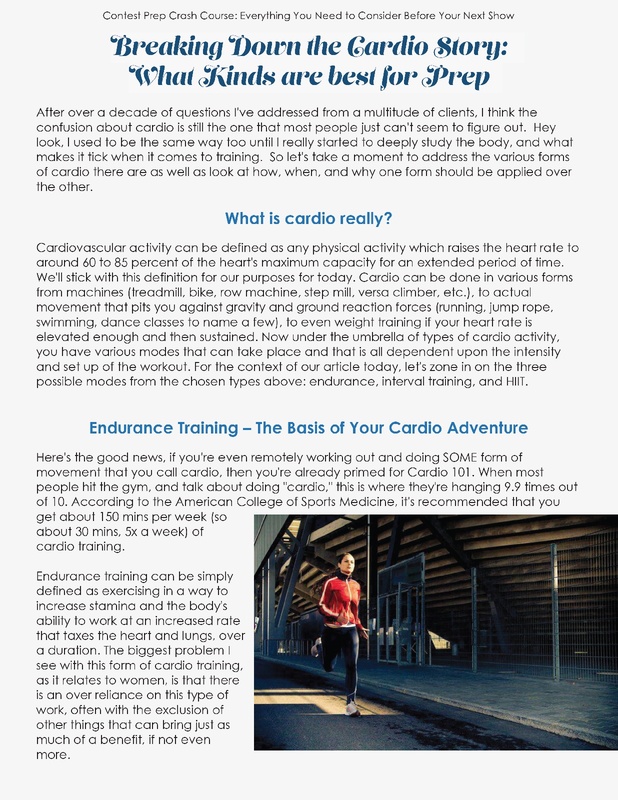 It's a downloadable PDF that's readable on any device and can be printed as well! "This book absolutely helped me with the sheer amount of great examples from Roxie's first-hand experience as a pro, scientifically proven ideas and everything else I ever wondered about the sport. I really recommend this ebook to anyone who wants to start competing or even if they already do. It's been a really great book that's helped me to really understand how to bring out my best for the stage." Women of all ages who love bodybuilding and looking to compete. New competitors who have a show coming up and want to better understand the prep process. Aspiring competitors who have yet to step on stage and what to know how to start. Seasoned competitors looking for a new and refreshing way to participate in the sport in the smartest way possible. Roxie Beckles is the founder & CEO of RoxStar Fitness. 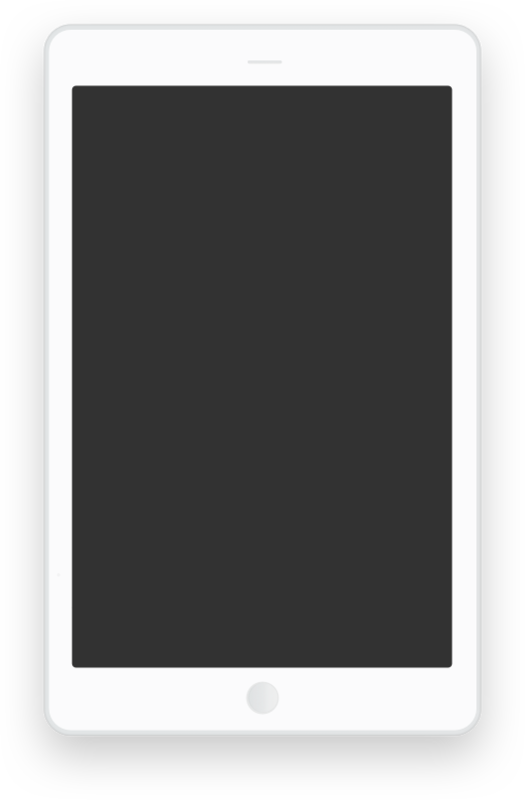 She brings over 21 years of experience as a personal trainer, sports nutrition specialist and online coach to your hands via this eBook. Roxie is an accomplished IFBB Pro, having competed in over 30 shows during her competitive career including the 2014 Olympia in Women's Physique. She’s helped women all over the world revamp the way they approach their diet and training to transform their bodies and embrace a healthy fitness lifestyle while finding balance, loving what they see in the mirror, and creating change for a lifetime. 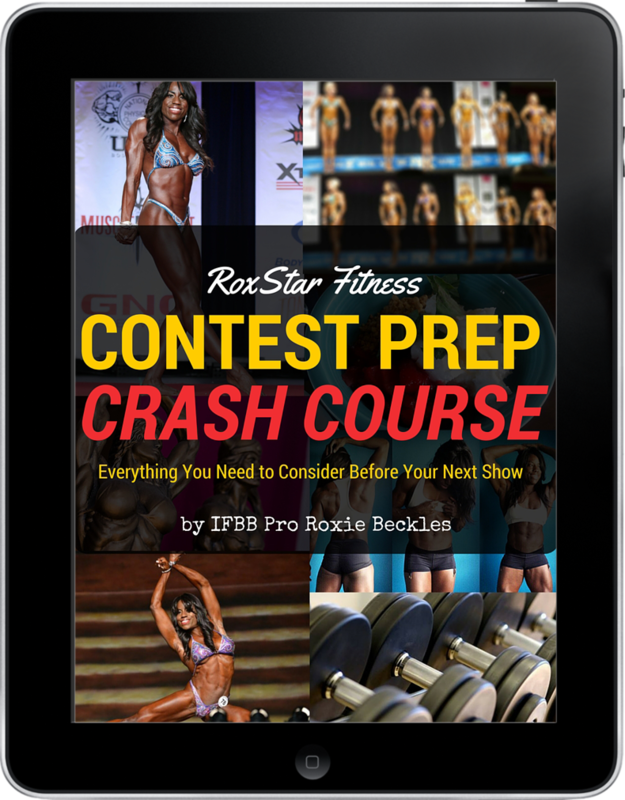 The RoxStar Fitness Contest Prep Crash Course: Your Ultimate Guide to Getting on Stage The RIGHT WAY - And Win! Get your hands on this exclusive eBook offer now! If the health of your body (and your sanity) during your contest prep is important to you, don't all victim to the bro-science and old school gimmicks. Learn how to get ready for your next show the smart and healthy way - all while creating the best body of your life! Copyright © 2019-2025 RoxStar Fitness, LLC.